Yay!!! we made it to Bali in Indonesia. A quick shower and we are out and about for a first look at what Bali has in store for us. 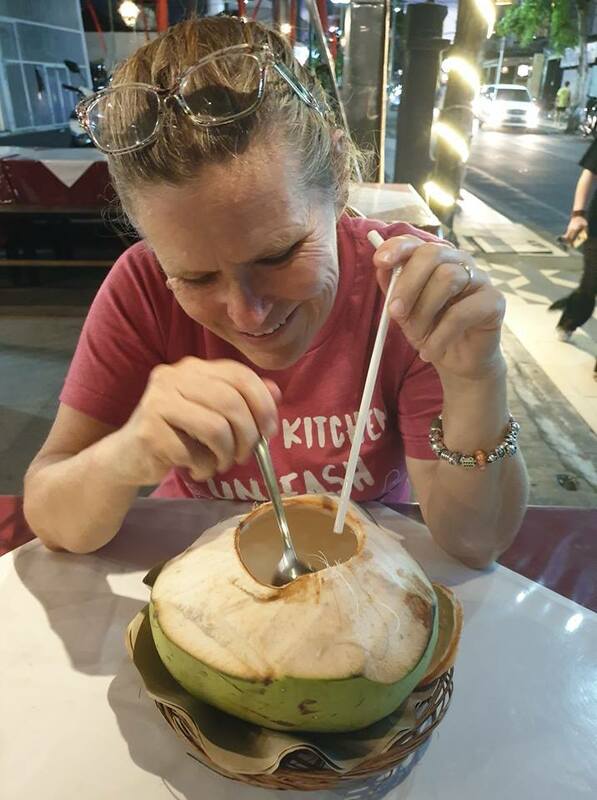 Join us as we take our first walk around Kuta, Bali. And then it was time to find something to eat. We avoided to western food restaurants and found a lovely place serving Indonesian food. 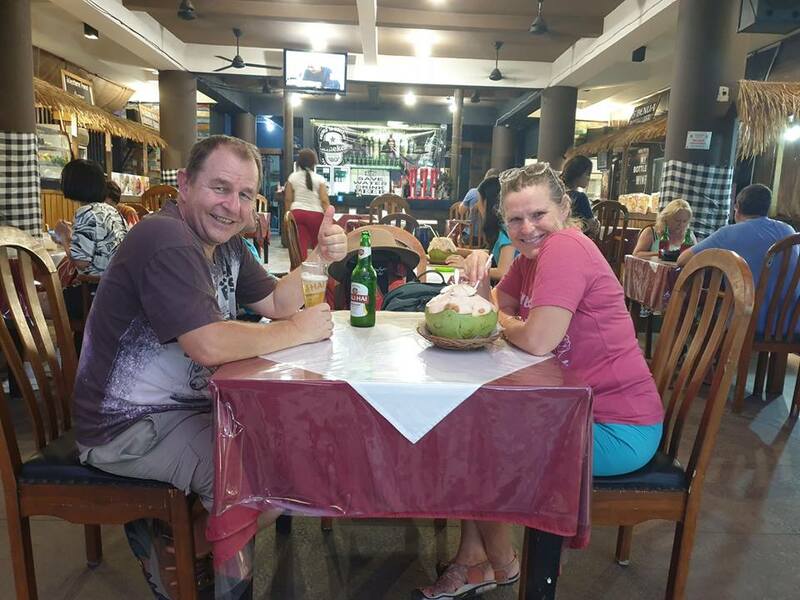 Nasi Goreng was ordered and we had a local beer and coconut juice to drink whilst we waited for our food to be served.